Woodland Vale Holiday Park0800 955 1122work Holiday, Touring & Camping ParkOur warm and friendly family-run park is exquisitely maintained and offers the ideal location for visiting the truly breathtaking Pembrokeshire coastline and many other attractions with this beautiful part of Wales. Our warm and friendly family-run park is exquisitely maintained and offers the ideal location for visiting the truly breathtaking Pembrokeshire coastline and many other attractions with this beautiful part of Wales. 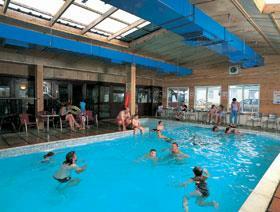 The indoor swimming pool adjoins the Woodlander Club and has its own sun terrace - ideal for relaxing and unwinding.